Bring joy to your holidays with The Holy Family nesting dolls. 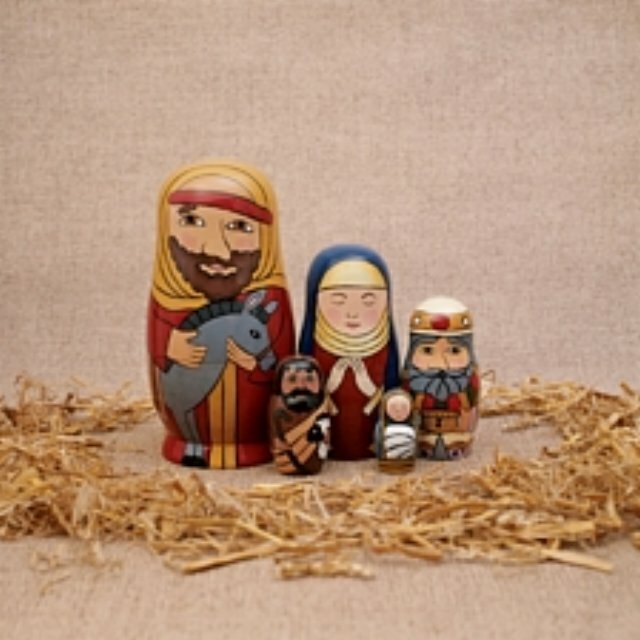 Our hand painted set features Joseph, Mary, a Wise Man, A shepherd and the tiny Baby Jesus. Largest doll measures 5 1/2" tall. Ther perfect holiday collectible your family will cherish year after year. A wonderful collectible to display or hold your small treasures. Designed in Russia by Golden Cockerel; made in China.